I had the most unique experience the other night that still, 2 days later has me a bit perplexed. Sitting at the bar of an Italian restaurant around the corner from my home (Centro Vinoteca) I found myself peering quite intently at a lightly colored whisky sitting quietly between the Balvenie Double Wood and the Chivas Regal 12yr. Towards the end of the meal, I asked the bartender if I could just see the bottle. Realizing that it had never been opened, the gentleman sitting to my right said, “Let’s open it up and have a taste!” At which point I learned that he was one of the owners. He kindly poured a taste for me and one for himself and then quickly drank his like a shot. I, like the whisky geek that I am, sat there for what seemed like 30 minutes but was probably more like 5 smelling, examining and as best as I could, keeping track of the delicious experience. Coming home, I realized just how rare this bottle might be. I found it sold out on the UK site, Master of Malt, and haven’t yet found anywhere else (IF YOU DO, please share a link in the comments section below!). The only review I found was by the beloved Ralfy. I’ve included his video below. He gives a lot of history about this particular bottling. ENJOY and let me know if you can find it! Happy to hear that I’m not the only one that finds himself staring down the whisky selections at bars and restaurants. We like to play the “Had it! Had it! Had it!” game as we take inventory while seated at the bar. Sadly, that happens a lot in Philly since as I’ve mentioned before, the whisky selections around here stay pretty basic. I will say this though… I have perused quite a few Whisky menus online, and I am finding that there are several new spots in Philly that have truly embraced American spirits. JG Domestic, The Cooperage, Village Whisky, and Percy Street Barbecue have quite a varied selection of Bourbon and Rye whiskies. Perhaps there’s hope for us Philly Whisky lovers! One last thing… Ralfy rocks! Love that guy! 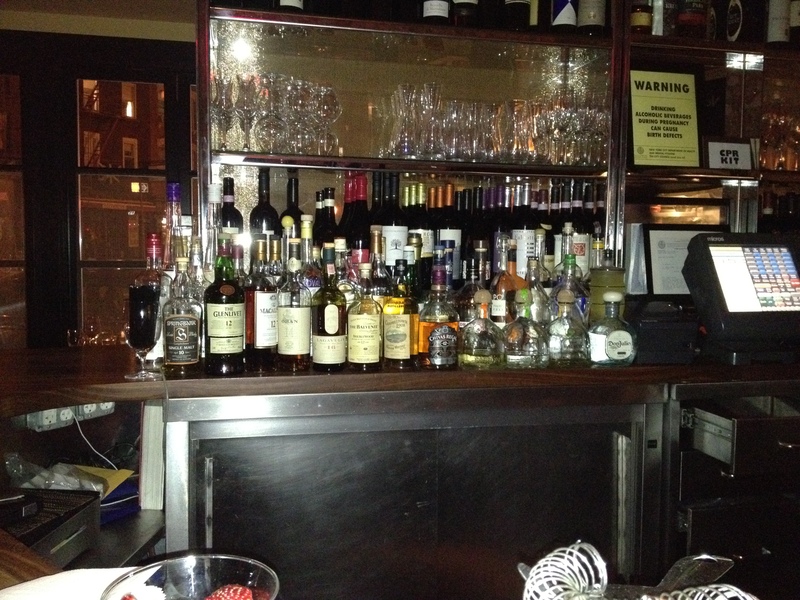 Thanks for the list of up & coming Philly whisky bars! Will definitely keep that information handy in case I make it down there! Love the “had it” game though I’m excited to say that there is still so much out there I “have not” had. Much more exploring to be had! lucky you were sat next to the owner, you might never have got that chance! have you found a bottle to buy yet…? I totally agree! I haven’t found a bottle yet but see the comment from Magnar below – there is a link! It’s a bit difficult getting around on the previos mentioned site, and although the information is right there is no picture of the actual bottle. The bottle including shipping will be about £60 (70€). This was the only place I managed to find the actual bottle. Thank you so much for sharing! I’ve been having a really hard time trying to find it too and appreciate the tip. Keep me updated if you find it anywhere else, please. Pick one up tomorrow, they selling for $80 bucks. « Whiskey Photography … under a microscope! 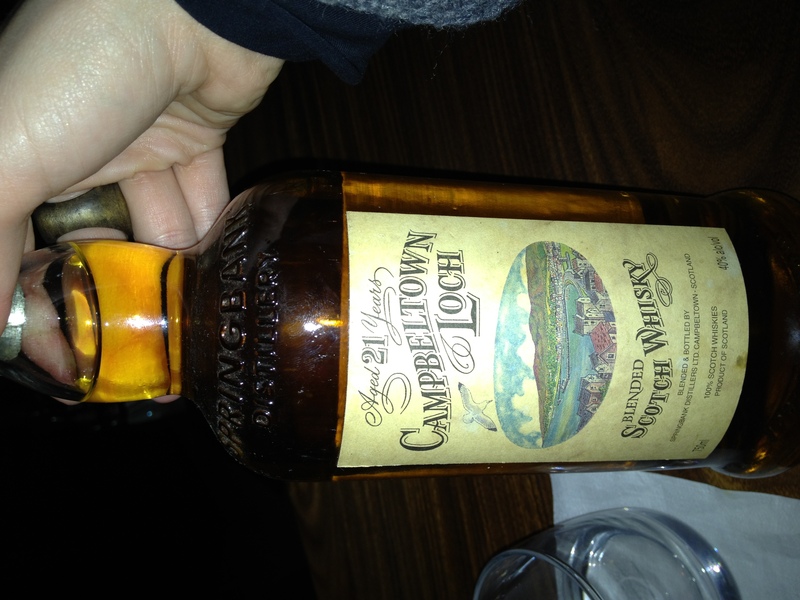 You are currently reading Campbeltown Loch 21 year old Blended Scotch Whisky at The Whisky Woman.